2016 marks the 20th Anniversary of the quintessential Irish-American band, Solas. Formed in 1996, in a manner befitting their name (Gaelic for “light”), Solas burst onto the Irish music scene and instantly became a beacon – an incandescent ensemble that found contemporary relevance in timeless traditions. Eleven albums later, with numerous awards to their credit, and more miles traveled touring the world to count, Solas will mark this milestone with a exciting new recording project and tour, ALL THESE YEARS. It is a celebration of a band that, from its inception, captured the musical world’s attention and went on to become one of the most influential groups in the history of Irish music. ALL THESE YEARS sees Solas reuniting with all the members of the band, past and present, to record new material and embark on a year long world tour. Anchored by founding members Seamus Egan (flute, tenor banjo, mandolin, whistles, guitars, bodhran) and Winifred Horan (violins, vocals), who form the backbone of the uniquely definable Solas sound, long time members Eamon McElholm (guitars, keyboards, vocals), and Mick McAuley (button accordion, vocals) and newest member, the dynamic Moira Smiley (vocals, banjo), Solas is musically at the top of their game and continues to be the standard bearer not only for great Irish music, but great music in any genre. 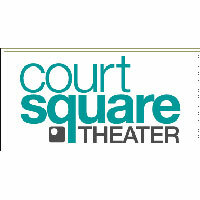 Solas performs at Harrisonburg’s Court Square Theater on Friday, February 24th. Doors open at 7:00pm and the concert begins at 8:00pm. Tickets are $22 in advance and $25 at the door. Please visit valleyarts.org or call 540.433.9189 for more information and to purchase tickets.